Jacobs is one of the most intriguing running back prospects in this years NFL draft. He is a violent runner who isn’t afraid to make contact with any defender, forcing his way to extra yardage. Also, he has the ability to make quick cuts forcing defenders to miss and manages to maintain strong balance. To round out his skill set, he showed the ability to catch the ball out of the backfield and make big plays. Despite his limited college usage, he may have shown enough to become the first running back drafted in the upcoming NFL draft. Due to the fact that Jacobs was third in yardage amongst Alabama running backs in 2019, his draft stock is highly debatable. However, even with his limited workload, he was able to lead the running backs at Alabama with 14 total touchdowns versus Damien Harris’s nine and Najee Harris’s four. He took full advantage of every opportunity given to him by averaging 5.3 yards per carry and 12.4 yards per reception. Let’s not forget that Alvin Kamara was also third in rushing yards at Tennessee during his Junior season. While his metrics are less than impressive on paper, he did enough on the field to prove that he is an NFL caliber running back. In reality, he probably did himself a favor by opting to limit his workouts, forcing NFL scouts to watch his tape. He is a stout running back with good contact balance and a low center of gravity which he uses to his advantage. His patience behind the line is notable and he typically allows his blockers to open rushing lanes before attacking. In pass protection, he shows plenty of effort despite lacking some of the technical nuances which can be learned at the NFL level. When given the opportunity on the goal line he is a downhill runner with a violent point of attack. Tracks the ball well out of the backfield and has soft hands. His pass catching ability could likely develop into a key component of his NFL game and given the opportunity, he could be a true three-down running back. To top off all of his strengths, his limited workload in college will leave him fresh and ready to be a workhorse at the next level. One of the most noticeable disadvantages for Jacobs would be his lack of burst. He isn’t slow, but he lacks elite acceleration which could keep from making the big highlight reel plays out of the backfield. His lack of burst will force him to become more decisive with his cuts considering he had a tenancy to over exaggerate at times. 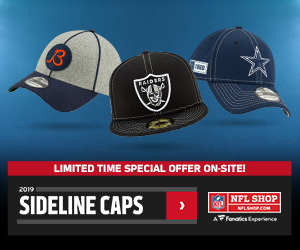 Although his tendency to welcome contact is considered one of his strengths, it could also work to his disadvantage when facing NFL linebackers. With that said, some of his weaknesses could simply be due to lack of carries throughout his collegiate career. Given the opportunity, he could correct some of his minor setbacks and become a fully rounded runner. The best fit for Jacobs in the NFL will be a team looking for a between the tackles rusher. Although he showed the ability to bounce it outside, his physical play style will be best suited for hitting the seem and punishing the defense underneath. There are three teams I feel would be a perfect fit for Jacobs that would give him the opportunity to become a lead back. The Raiders struggled heavily on offense in 2018 and the running game suffered as a result. With Marshawn Lynch missing time they were forced to depend on Doug Martin, Jalen Richard and DeAndre Washington to carry the load. With their current running back situation, they’d be starting Isaiah Crowell and Jalen Richard headed into 2019 if they don’t add some extra help. I think this would be a perfect landing spot for Jacobs with the Raiders offense expected to bounce back in 2019. After adding Antonio Brown and Tyrell Williams to the passing attack, the running backs could have some extra rushing room to work with. And Jacobs could take over as the lead back with Jalen Richard spelling him on third downs. With Bruce Arians as their new head coach, the Buccaneers offense could be scary in 2019. And although they added Ronald Jones in the second round of the 2018 draft, he looked terrible in his limited opportunities. 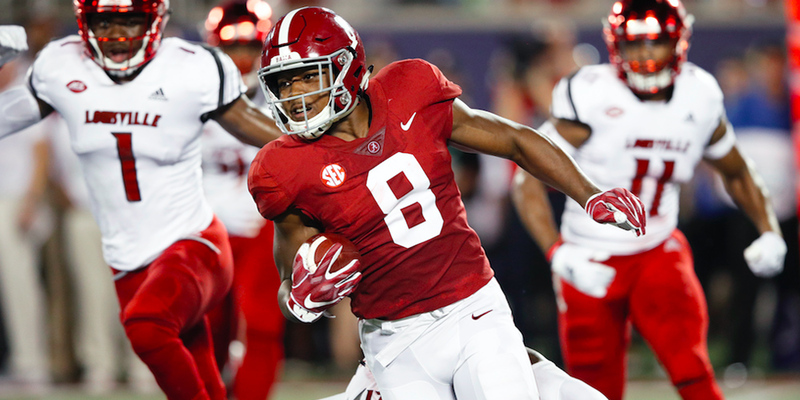 The new coaching staff could easily look to replace Jones and Peyton Barber with a true three-down workhorse like Josh Jacobs. If Jacobs were to land on the Buccaneers, I could easily see him becoming everyone’s favorite rookie prospect headed into 2019 due to Arians track record with David Johnson in Arizona. He would project to make an immediate impact on fantasy rosters and could be a league winner if your league mates sleeps on his upside. With the plethora of weapons the Buccaneers have in the receiving game, it would be almost impossible for the defense to stack the box against the running game. Leaving plenty of running room for whoever gets the bulk of the carries. Although the Bills are currently rostering LeSean McCoy and Frank Gore headed into 2019, it could be time to shake things up. With second-year quarterback Josh Allen under center, they could use some fresh legs in the backfield. Although this isn’t the most attractive landing spot in terms of projected fantasy production, I believe it could be a great spot for Jacobs in the long run. He may not get the chance to see immediate production but he would have the chance to learn from two of the NFL’s best running backs in recent memory. Although I think it’s unlikely the Bills will spend an early pick at the running back position, Jacobs could breathe a little life into an offense that struggled in 2018. And he would likely be a focal point of the Bills offense for a long time to come. Jacobs will likely be a top-four fantasy pick in your upcoming rookie drafts baring a terrible landing spot. And if he were to land on a team like Tampa Bay, I think he could jump up to the 1.01 depending on team need. There are only a few projected workhorse backs in this draft class making Jacobs draft stock a valuable commodity. When it comes to dynasty rookie drafts, immediate production is key to maximizing your return on investment. And in recent years, rookie running backs have outproduced rookie wide receivers by a wide margin. Even if you decide to draft Jacobs and hold him until he flashes you could capitalize on his value early. And if nothing else you could gain depth at a very valuable position in dynasty. Let’s not forget that five of the top ten dynasty assets headed into 2019 are found at the running back position. And even running backs like Dalvin Cook, Leonard Fournette and Joe Mixon who have failed to live up to their maximum potential are still going as top 35 assets. Don’t sleep on value.